Visa : A tourist visa is required to visit Australia. This is achieved either by internet (eVisitor) or with the Australian Embassy in Madrid (the Paris stopped issuing tourist visa). It is valid for 3 months. Passport : Your passport must be valid 6 months after your return date . Premium . more than 40 € / person. Car : The road network is excellent in Australia. Remember that in Australia you drive on the left and an international driving license is required. Quoted rental car costs around 60 euros per day, but the fuel is cheaper than in Europe. Bus The bus network is well developed, it is the most economical way to travel in Australia, by cons should not be pressed. Train : Australia is crossed by two major railway lines, The Ghan that crosses northern Australia south of Darwin to Adelaide, and the Indian Pacific which crosses from east to west, from Sydney to Perth. The trains are very expensive and slow, the plane is certainly a better option to cover long distances. plane : Due to the large distances it is common to travel by plane in Australia, the domestic air network is well developed and flights are very common among major cities. The main companies are: Qantas, Jet Star, Regional Express, Virgin. Vaccinations No mandatory vaccine . Emergency : In case of emergency, call 000 .
beach: The population of sharks living around the coast of Australia is important, it is advisable to swim only on beaches equipped with safety nets. The other major risk are the strong currents that can take you out to sea, for this reason it is recommended to swim only on patrolled beaches. Dehydration and sunstroke: The sun is beating down in Australia, it is imperative to drink plenty of water, cover the head and use high index barrier cream . If you venture into the interior of the country by car, it is essential to think to bring with you water supplies and diesel, the distances between the infrastructure is very large. 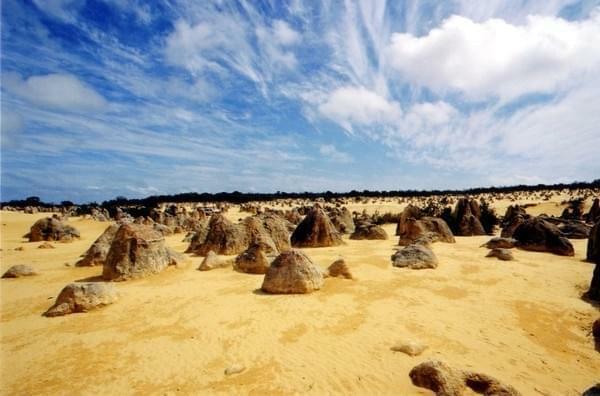 Climate : The climate of Australia can be divided into three areas; the north is hot and tropical, the south is temperate, and desert center. Best time to reach : As Australia is in the southern hemisphere winter is from June to August, while in December to February, it ' is summer. internet, wifi : There are cyber cafes in every town. Rates start from 2 euros an hour. If you have your laptop with you, you'll have no trouble finding a free wifi access, a cafe, library, or just to your hotel.